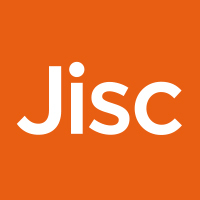 The following information is needed for Jisc to manage your subscription to the Digital Capability Service. We'll use it, as described in our standard privacy notice, to provide the service you've requested, as well as to identify problems or ways to make the service better. We'll share this information with Potential.ly so they can process the data on our behalf; our contract prohibits them from using the information for anything else. If you are eligible and wish to obtain a Digital badge your name and email address will be shared with Credly who produce them; our contract prohibits them from using the information for anything else. Your data will be shared by Jisc in an anonymised way, enabling us to produce institutional reports with aggregated data only. We'll keep the information until we are told that you no longer wish to subscribe. You may instruct us to stop processing it at any time by emailing help@jisc.ac.uk.